Puzzle detectives are investigating a mysterious theft in which a thief dropped more than 100 chocolate bars as he fled the scene of a robbery. 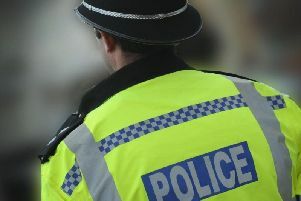 A man was threatened and forced to hand over a quantity of cash as he was robbed whilst walking through Crawley on Saturday June 2, police said. As the thief ran off he dropped a bag containing 123 chocolate bars including Dairy Milk, Wispa, Mint Oreo, Whole Nut and one Kit Kat. She added officers were looking for more information from businesses who may have lost the sugary goods. Police said a 31-year-old man was walking along West Green Drive at 6.30pm. He was accosted as he reached the roundabout at Peglar Way, outside the Apex Building, by a man who threatened to hurt him if he didn’t hand over money. The robber was not holding a weapon at the time but police said it is believed he may have had a knife or something similar in his pocket. A small quantity of cash was handed over and the thief fled the scene, dropping the bag of chocolate. He is described as black and 6’, with curly hair and a scar on the left side of his face. He was wearing a dark t-shirt and jogging bottoms. DC Palmer added: “We would also, very importantly, like to hear from anyone who saw this incident. Police said a 22-year-old Merstham man was arrested on suspicion of the robbery on June 2. He was interviewed and released under investigation.